Toronto Mayor Rob Ford has been diagnosed with a rare and “fairly aggressive” type of malignant tumour, the doctor overseeing his care announced Wednesday. Dr. Zane Cohen, a colorectal surgeon at Mount Sinai Hospital, said Ford was diagnosed with pleomorphic liposarcoma, a type of cancer found in soft, fatty tissue of the body. The diagnosis was reached after two biopsies and a “comprehensive medical assessment,” Cohen said. The tumour in Ford’s abdomen is about 12 by 12 centimetres in size. It is considered to be a "difficult" and aggressive tumour that must have grown over the last three years, since it didn’t show up on a scan the mayor had in 2011, when he was treated for kidney stones, Cohen said. “We think it's a fairly aggressive tumour, mainly because these types of tumours are often slow growing,” Cohen told reporters. However, doctors are optimistic about Ford’s treatment, Cohen said. “We are treating this very aggressively in order to eradicate the tumour,” he said. The cancer has not spread to any organs, but another, much smaller, tumour was found in the mayor’s buttock, behind the left hip, Cohen said. That tumour is about two centimetres long. Ford will begin chemotherapy within the next 48 hours. He will be treated for three days at Mount Sinai and will likely go home for about 17 days before returning for another round of chemo, Cohen said. Cohen said Ford “may or may not” undergo radiation or surgery after chemo. Doctors are hoping to shrink the tumour with “intense chemotherapeutic agents,” and then see how the mayor progresses from there. Liposarcomas comprise about one per cent of all cancers. Cohen said it’s difficult to make a prognosis because outcomes vary among patients. Ford’s brother, Coun. 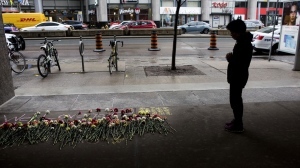 Doug Ford, said the diagnosis has been “devastating” for the entire family. “Rob has always been so strong for all of us and now I ask us all to be strong for him. 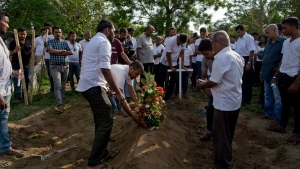 Your kind words and well wishes mean everything to him right now,” he said in a statement Wednesday. When Rob Ford pulled out of the mayoral race last Friday, Doug filed his nomination papers at the last minute and is now running for the city’s top job. But Rob Ford has not entirely abandoned municipal politics. He has registered to run as a councillor in the Etobicoke ward he represented for a decade before he was elected mayor in 2010. 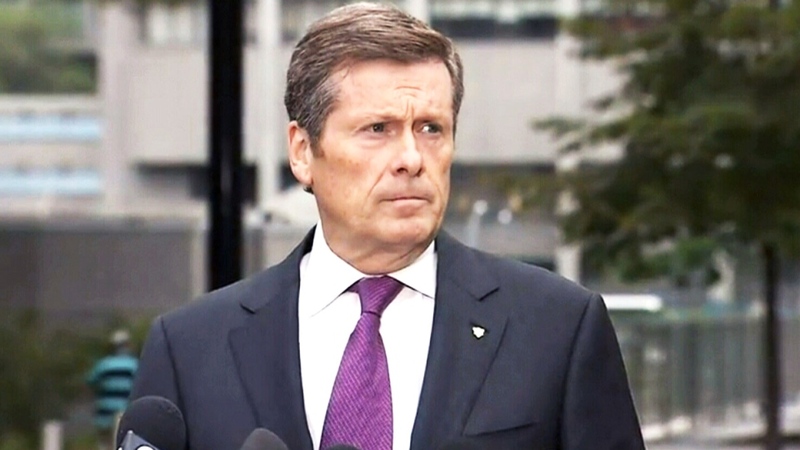 Tory urged all Torontonians to “say a prayer or summon a kind thought for our mayor” and his family. Prime Minister Stephen Harper also issued a statement, saying he was “deeply saddened” by Rob Ford’s diagnosis. “We wish him a speedy and complete recovery and are certain that he will take on this fight with all of his characteristic tenacity and energy,” Harper said. 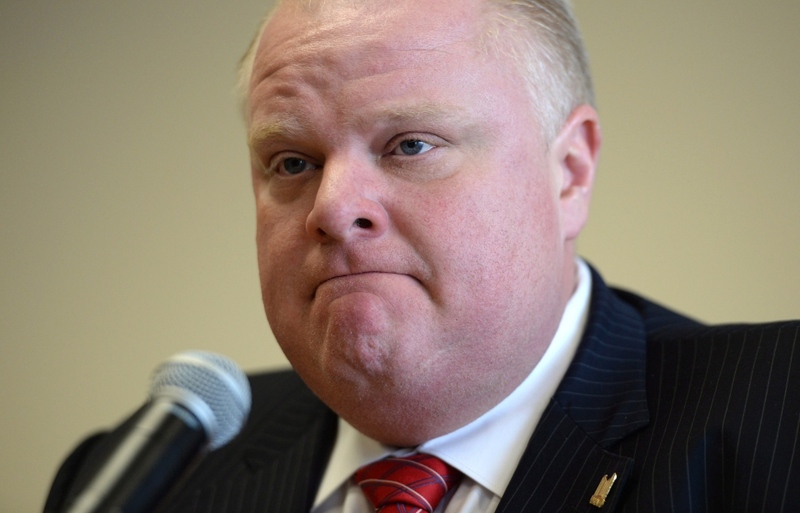 Wednesday’s announcement ends days of speculation about Rob Ford’s health. He sought medical help after complaining about “unbearable” abdominal pain last week. Mount Sinai doctors said the mayor had been experiencing abdominal pain and discomfort for about three months before he was hospitalized. 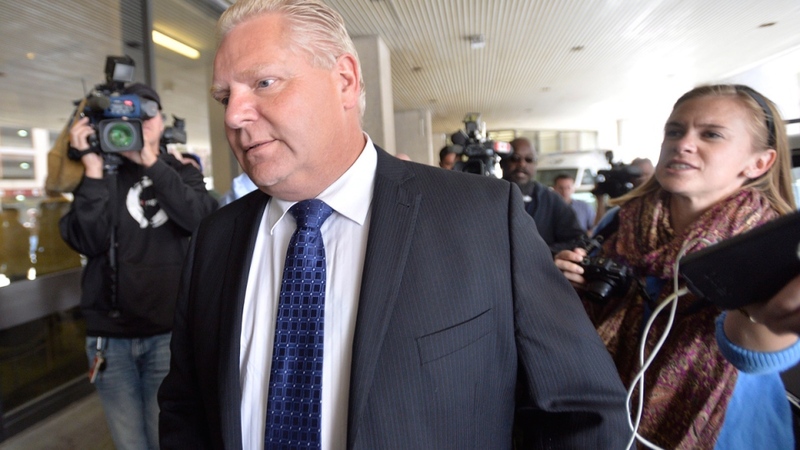 The Fords’ father, former Ontario MPP Doug Ford Sr., died of colon cancer in 2006. It was widely reported that Rob Ford had a tumour removed from his appendix in 2009, but Cohen said Wednesday that the mayor was treated for appendicitis, not a tumour. Earlier this summer, the mayor returned to office after a stint in rehab for substance abuse issues. He had gained worldwide notoriety after reports emerged last year that he was recorded on video smoking crack cocaine. Last November, he admitted that he smoked the drug while in office. 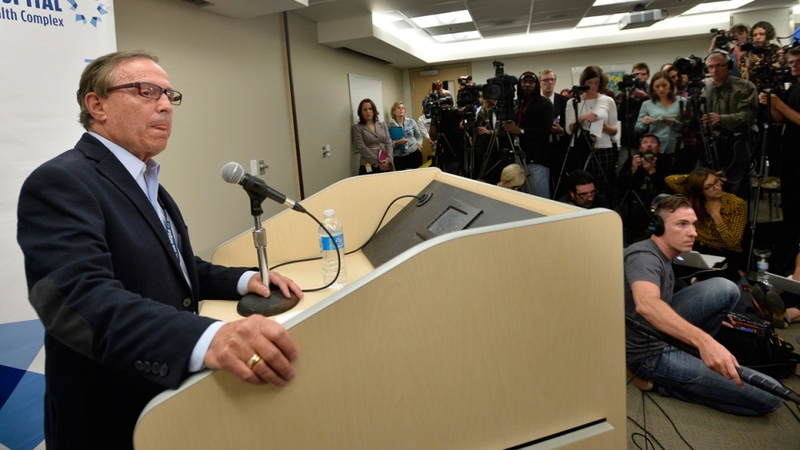 John Tory speaks about Toronto Mayor Rob Ford's malignant tumour diagnosis, in Toronto, Wednesday, Sept. 17, 2014. 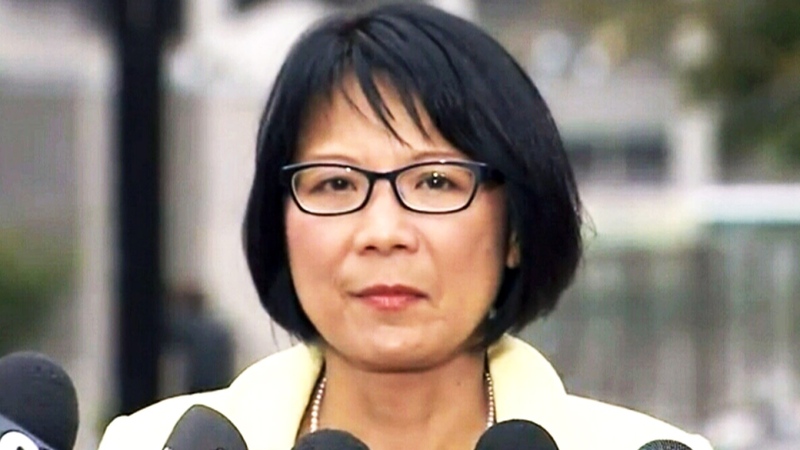 Olivia Chow speaks about Toronto Mayor Rob Ford's malignant tumour diagnosis, in Toronto, Wednesday, Sept. 17, 2014.